Red text, black background, and a multitude of movies and television shows to choose from. This is the visage of Netflix—a colossal streaming service that had taken the world by storm and by world. And by world we mean the consumers, the business owners, and even the film industry. Of course, this is not a miracle that happened overnight. If you are not aware, Netflix has been running since 1997 and back then it is not the mogul that you are seeing now. But due to effective Netflix marketing strategy, its persistence to the business, and ability to catch up to the trends, it has become what it is now. No matter the nature of the business that you are running, you should look up to Netflix for its marketing strategy which is justified by the growing numbers of the company. All over the world, Netflix has almost 150 million subscribers, 186,000 of them is from the Philippines. Netflix was founded by Reed Hastings in 1997 and initially it was a DVD rental business. By 2007, with the amount of focus to streaming increasing, Netflix opted to making their film library open for people to watch online. During this time, Netflix was a well-known brand but it is not as prominent, especially internationally, compared to what it is today. What you can notice is here is Netflix is willing to evolve and go through the long process for the sake of the market, it became a streaming service company while still offering DVD rentals. It caters to the different needs of its audience and it’s also not afraid to be a trailblazer. In 2013, Netflix released its first original in-house production (Netflix Original), the television show House of Cards. Little what many people know, this is the start of the original streaming revolution. Soon, other streaming sites followed, discovering that there is gold in producing original content for the Internet and it’s thanks to Netflix’s marketing plan. Why are Netflix marketing strategies effective? 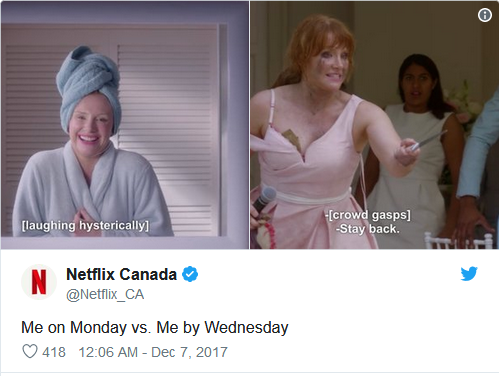 We trust that if you use social media or the Internet, you’re pretty much familiar with how Netflix’s marketing strategy (or strategies) works. However, the following is a rundown to help you understand it better. Netflix isn’t like any other streaming services you could find. It has a certain quality that is really appealing, mainly because it offers a wide range of movies and shows and the original content that they put out is actually of high quality. The company, which is now also a film outfit, is known for the liberty it gives to its creators. In the web, there are no limitations with what you can show and Netflix takes advantage of this trait. When filmmakers are given what they want, they produce content that are outstanding. One essential rule for successful digital marketing is tapping to the emotions of your consumers through content that actually matters and you can do this by knowing what they want. And Netflix does this so effortlessly. When you login on their app, you are shown lists of content that might interest you and Netflix determines this by your recent activity on the app and through the use of analytics of what the demographic you belong to wants. It’s also evident that Netflix uses a marketing strategy where it puts itself in the shoes of its audience. The company capitalizes on people’s tendency to binge-watch a whole season—most people are not willing to wait for one episode per week. The solution? Netflix releases all episodes in one go. You want a second season of your favorite show? You got it. Looking for a show or movie that is not on the Netflix library? You can request it! These too is learned through how much views and traction the show is getting. Again, analytics and tracking. Another to include here is that Netflix does not have ads which of course viewers would take delight in. Netflix is distancing itself from traditional television and they can achieve the reinvention by removing what greatly annoys their consumers. This still is being business-minded but something that greatly benefits the consumers which Netflix also gains from too. Another reason why the streaming service is such a hit is the way it converses with its audience. Just by their social media posts alone and other Netflix advertising campaigns, you’ll feel like it’s someone that you would want to binge-watch with. They are attuned to what is hip and what can easily be shared. Netflix’s marketing strategy shows that it knows where its audience are, the Internet, and it uses this network to connect well along with other digital marketing channels. The company’s well aware that people do not fancy big companies or smart business talk so Netflix subverted everyone’s expectations when it seemed to ride what people are on to. It starts a trend but it also knows how to swoop in on what’s currently hot. They even retweet other users in Twitter! If you’re using social media marketing, especially in the Philippines, you should be aware that relevance is important for your endeavors to thrive. You can follow suit by striking conversations with your audience, particularly the ones you can find in the comments or ones already messaging you. Make yourself known to be a brand that can be approached, one that actually cares, and one that acquainted to what is trendy. Obviously, you should do this organically and little by little. Because Netflix is engaging and at times, bold. Netflix is a company with so much content on their hands and they actually use this content to generate brand engagement. These content are fresh, witty, and ultimately relatable and strikes two birds with one stone. The first bird is creating awareness about the show or movie’s existence and what is it about, and second bird is making the audience trust Netflix even more because Netflix feels more like a friend, rather than a streaming giant. This is, of course, due to the casual tone that they employ that they are able to pull stuff like these. If other streaming sites would have done this, it would seem forced. But Netflix had found what tickles its target audience and they use it to cement remarkable UX (User Experience). The lesson here? Mimic Netflix’s advertising campaigns and the Netflix marketing strategy and find ways to make people learn what your product is albeit in subtle ways. Like making memes out of them or producing original video content that features stories of people using your product. Another thing, Netflix is not afraid to be daring at times, both on their produced content and social media. Just this year, Netflix released a game changer in the history of streaming services: an interactive film titled Black Mirror: Bandersnatch. Aside from engaging posts, what your content really is will drive your consumers crazy. So if you’re a digital marketer, go out there and be bold. Be a game changer like how Netflix digitally markets. Sometimes you need to sacrifice short term success for long term ones. Netflix had definitely hit the jackpot. You could say it’s pure luck or Netflix was at the right time for the demand but no one could argue that Netflix does sell it. They have mixed automatic affinity of people to entertainment with absorbing digital marketing and they do it the right and their own way. 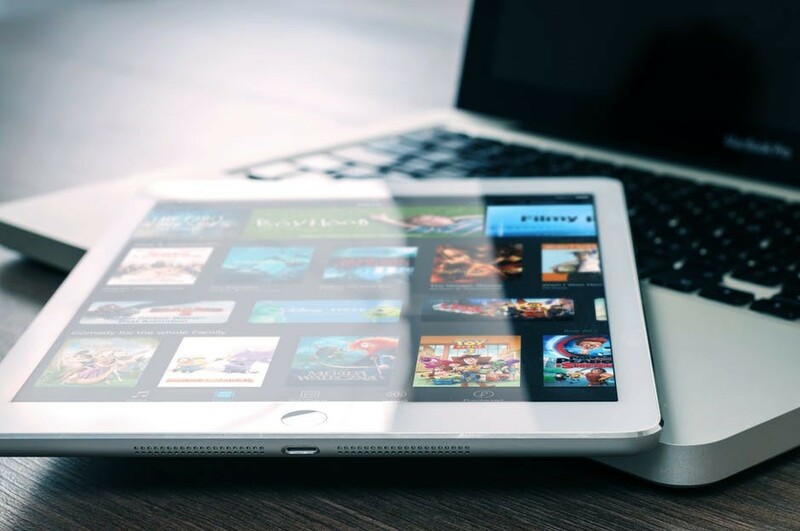 If you want to know more about Netflix’s marketing strategies or digital marketing strategies in general, you can contact a digital marketing company in the Philippines!